A senior instructor of Italian in the Department of Romance Languages, Harinder Khalsa excels in the teaching of first- and second-year Italian. 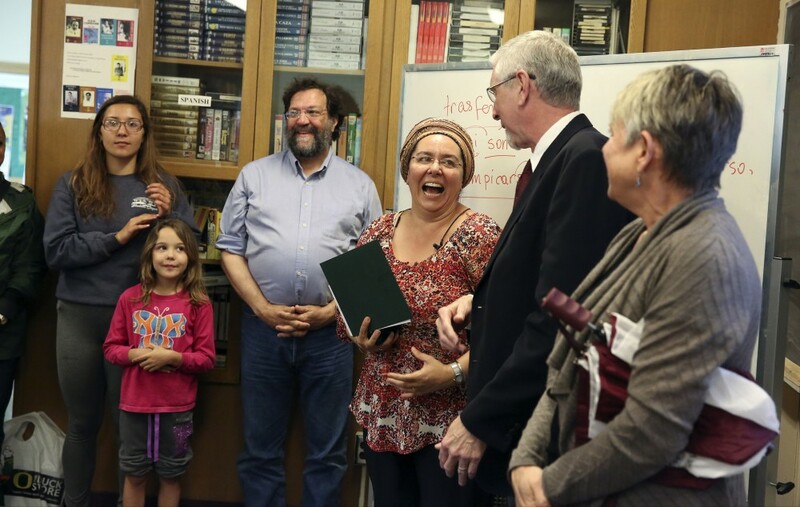 Khalsa serves as an advocate for foreign language instruction and the UO Language Council. Term-in and term-out, she carries enormous responsibility for teaching in the Romance languages department’s lower-division Italian offerings. Khalsa regularly teaches nine courses per year while also mentoring less experienced fellow NTTFs and graduate students. Her signature course is the two-term sequence in intensive first-year Italian. In recognition of her achievement and expertise in the areas of first- and second-year Italian, Harinder Khalsa is a recipient of the 2015 Thomas F. Herman Award for Excellence in Pedagogy.